The tough polycarbonate and clear lenses of the UCi Savu Clear Safety Glasses I623 are best suited to indoor use, where their hard-wearing design will protect your eyes from low-energy impacts. A clever nose bridge aids in comfort and wearability, while the neck cord can keep the glasses safe during a long day at work. 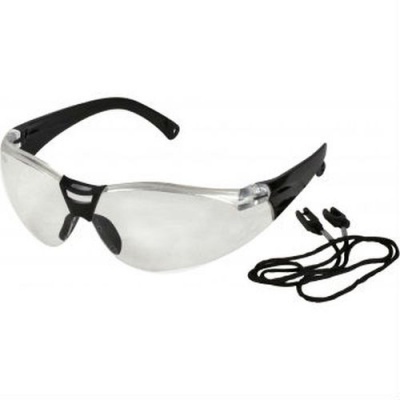 As the Savu Safety Glasses include a neck cord, the glasses can be worn around the neck when they are not required. Not only does this prevent them from becoming lost or damaged, but it can also result in potential savings by reducing the need to constantly replace broken or misplaced glasses. The UCi Savu Clear Safety Glasses are supplied in a universal size that should suit most users. Please note that you may return your glasses if you find them unsuitable, as long as they are in a resellable condition with all original documentation.